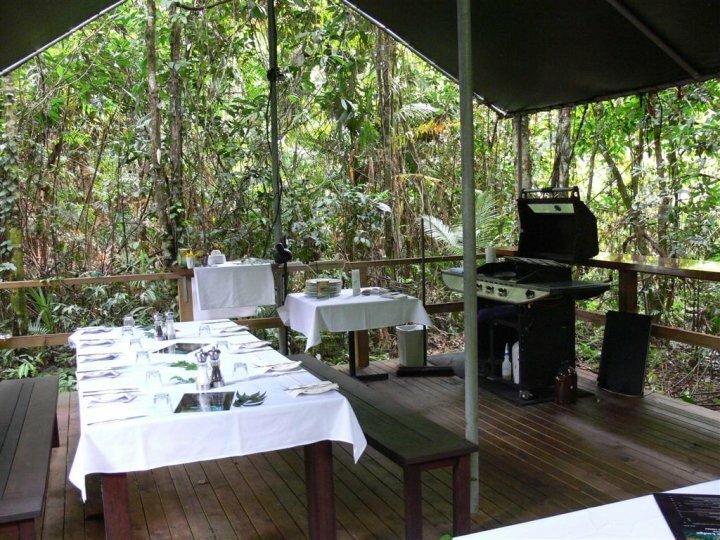 Newly renovated Heritage Lodge & Spa in the Daintree is just two hours North of Cairns, this is the only place in the world where two world heritage listed National Parks join. 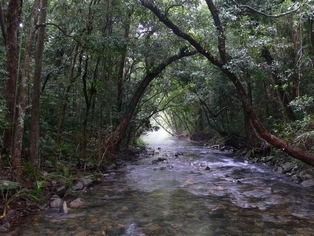 This section of the Daintree rainforest, is where the worlds most ancient rainforest, meets the reef. Our chef will tantalise your tastebuds using the finest of local ingredients. On the Turps Restaurant is only 7 days a week for breakfast, lunch and dinner overlooking the magical Cooper Creek. Let our staff share their local knowledge of the area and assist you to maximise your time in this magnificent destination. Or simply sit back, relax and enjoy a massage in our day spa, whilst enjoying the sounds of the rainforest. The Heritage Lodge & Spa, offers five star service in a magical and rejuvenating environment. Staying at Heritage is more then just a holiday, it is an experience! Photocopying, typing, fax service available from reception. WIFI available at reception, additional surcharge applies. From 2pm. 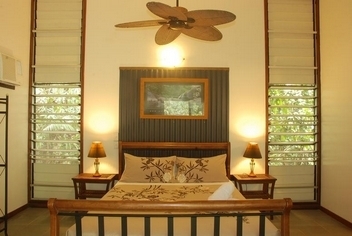 Guests are more then welcome to arrive earlier and use our guest facilities. We are very children friendly! Children stay free as long as family room capacity is not exceeded. Dine early for our super family menu ! Free guest parking on site. 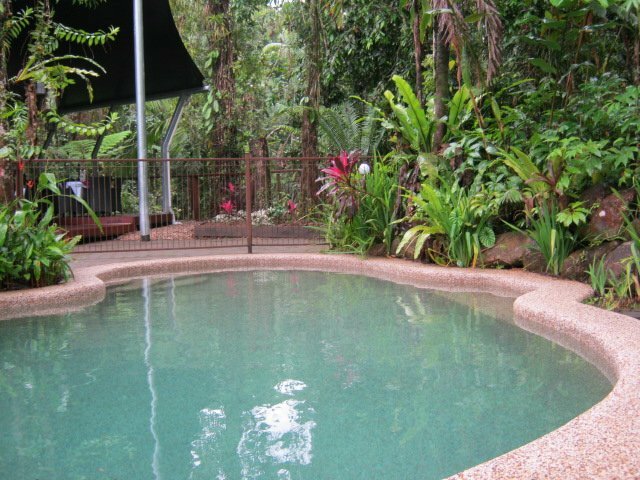 Go exploring the many rock pools of Cooper Creek, spot wildlife on our rainforest tracks or simply enjoy the surroundings poolside or in the serenity of your private verandah. A 2 hour rock hopping hike to the 150m cascade which can be seen from Heritage Lodge. Not for the faint hearted but highly recommended. Packed lunches available. 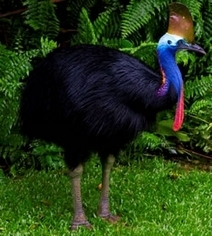 Day trips depart from Cape Tribulation with a choice of leisurely sailing or powered vessels. Trips provide full facilities for introductory or certified diving and lunch, snorkelling and transfers from Heritage Lodge are included. Croc spotting at its best! 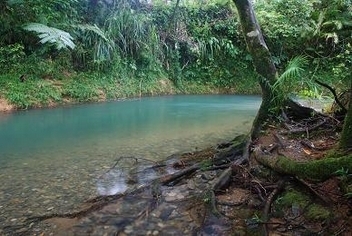 The lower Cooper Creek is home to around 30 crocodiles and also to what have been recognised as some of the most pristine mangrove habitats in Australia. The only boat permitted into this World Heritage area. Guided day and night walks are available as well as a couple of boardwalks roadside. Cape Tribulation Horse Rides will take you on an adventure through rainforest and beach. Enjoy morning tea and a swim. Thornton Beach is 45 min walk or 20 min on one of our mountain bikes and marks the beginning of a stretch of isolated beaches up to Cape Tribulation itself. 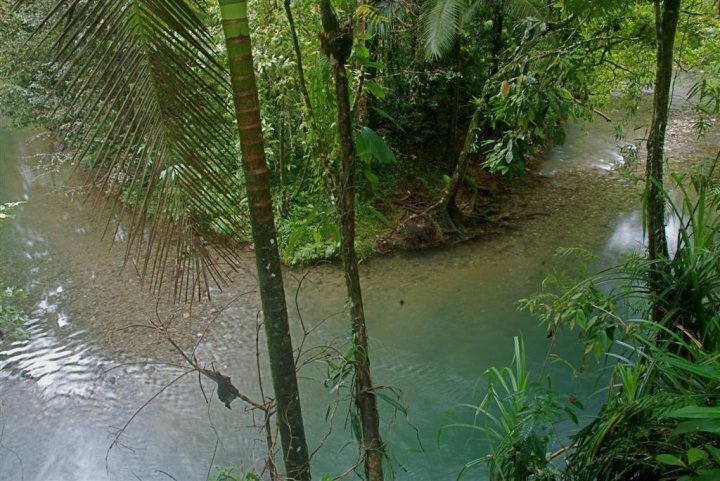 A number of options are available to take you into the heart of the Daintree, to Bloomfield Falls and for the intrepid explorer, to Cook Town. Organic permaculture in action!! A two hour guide is hosted daily and includes tropical fruit tasting of seasonal fruits, black sapote.. just like chocolate pudding ... bread fruit served as deep fried chips ... mangosteen .... the Queen of the forest ... mmm!